Microsoft is planning to lift the curtain a bit higher on Windows 10. The company has already shown a handful of features in September. Most of those new bells and whistles were aimed at people who use Windows at work. On Wednesday, Microsoft (MSFT) is expected to give a consumer preview off its Windows 10, or in its own words: "a glimpse at what's to come from the world's most-used operating system." Continuum. The biggest Windows 8 headache that Windows 10 is expected to cure is the way the operating system manages its separate "desktop" and "tablet" modes. In its sneak preview, Microsoft introduced a new Windows 10 design interface called "Continuum." Windows 10 is expected to stick to desktop mode when it recognizes a mouse and keyboard and stick to tablet mode when there is no keyboard and mouse. But hybrid devices, such as the Microsoft Surface, will be able to transition seamlessly between the two modes. Pull off the keyboard, and you'll enter tablet mode. Snap the keyboard back on, and you're back in desktop mode. No more Internet Explorer -- sorta. Microsoft is expected to introduce a new, stripped down browser that has been codenamed "Spartan." The new browser will ship with Windows 10, and it will function similarly to Chrome and Firefox. The Spartan browser will be built on a different software platform from IE and the two are not compatible. That means Microsoft will continue to also ship IE with Windows to ensure that corporate apps continue to function properly. Xbox integration. Microsoft has tried and tried and tried to take over your living room. 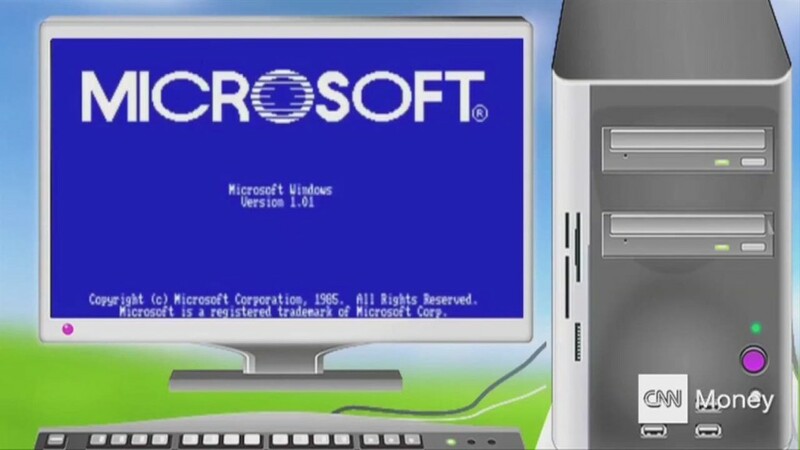 It has been a passion of Microsoft's that goes back 13 years to the first version of Windows Media Center. Its latest (failed) attempt was to turn Xboxes into cable boxes. But Microsoft isn't done yet. Xbox already looks like Windows, and CEO Satya Nadella has said he wants Xbox to work more like Windows. Expect yet another attempt from Microsoft to take over that "second screen" in your house. Cortana integration. Microsoft's version of Siri has gotten praise from Windows Phone users, but it's not yet available for Windows PCs. Expect that to change when Microsoft unveils details about the consumer preview for Windows 10. Software developers have noted that it's already in Windows 10. All Microsoft has to do is turn on the switch. Return of the Start menu. After being removed from Windows 8, Microsoft announced in September that the Start Menu will make a full comeback in Windows 10. The new Windows 10 Start menu includes a new personalizable space for favorite apps, programs and websites. Apps in Windows. Microsoft said that Windows Store apps and regular desktop programs will both run in traditional windows in Windows 10. The programs can be resized and minimized from the bar at the top. Multiple desktops. Windows 10 will feature something Mac users have enjoyed for years: the ability to create new desktops and quickly switch between them. A separate Windows for mobile. There are currently three different versions of Windows: Windows 8.1, Windows RT for tablets and Windows Phone. Last year, Nadella said Microsoft plans on scaling back. "Snap" quadrants. The new "Snap" feature, which Microsoft unveiled in September, will allow Windows 10 users to work on up to four apps at once on the same screen. Snap has been around since Windows Vista, but Microsoft redesigned it for Windows 10 to include a new quadrant layout. New task view. A new button on the task bar will take you straight to a single screen that displays all your open apps and files.